Clean Tech Marketing has changed a lot recently. Whether you’re marketing energy-efficient products or green building, getting customers to act is not an easy endeavor. If you are sending mass marketing e-mails, you may be discovering that click-through rates are never high enough. Well, you’re in luck! We’re going to lay out how developing custom responsive e-mail design templates can assist in increasing your click-through rate. Free email design templates are terrific for small companies that do not need personalization. CleanTech brands, however, typically have more options than other brand names do. This implies that you need to finely-tune designs to be more adaptive to a broader range of mobile devices. Get away from cookie-cutter design templates and develop layouts that much better suit your brand name’s goals. Read more on why it’s important to scrap free email templates in our blog post Why Free Email Templates Kill Open and Click-through Rates. Lay out the most helpful or essential information to your consumers. Determine precisely what information is necessary to drive users to take action. Less is more. Prolonged e-mails risk your customers missing the point and avoiding the e-mail completely. Create short and clear statements and avoid prolonged descriptions. A style is as much about communication as it is the feel and the look. Make your call-to-action buttons look like eye candy, so they can lure consumers to click and make the buttons big enough to utilize on mobile devices. Engage users with dynamic or contrasting colors with clear action-driving text. Use top quality images and graphics. All of us look at numerous e-mails a day; make sure that yours stands apart from the rest. Design a minimum of two variations of your email content designs. Make one for smaller sized mobile phones with screen sizes 340px to 400px wide. Then make one for medium to big gadgets 400px wide and bigger. Avoid going beyond 600px wide to guarantee that the e-mail will not get cut-off. To learn more about how to display your email content download our free Responsive Email Design Worksheet. You should be safe when using: static table-based layouts, HTML tables and nested tables. Simple inline CSS, web-safe fonts are also safe. Don’t forget to never exceed 600px in width! To learn more about coding emails check out MailChimp’s Limits of HTML Email Page. There are over 40 e-mail applications and internet browsers that your emails can be viewed on. (This isn’t considering the countless different gadget screens out there.) Evaluating across these circumstances helps you fine-tune the design and code to guarantee a consistent experience. Have a knowledgeable web designer utilize a service called Litmus to test your marketing email design templates. Utilize their sneak peek pane with images on and off, and produce a preview of how it displays in the 40+ circumstances. That strategy will allow you to see what your clients will see when opening your email! Fine-tune the code or style, test, repeat. You cannot make your email look similar in every single email client and browser, but you can make it look the best it can be under most circumstances! Arrange and prioritize your content, create a fantastic experience for your vast mobile audience, and code and test with care. 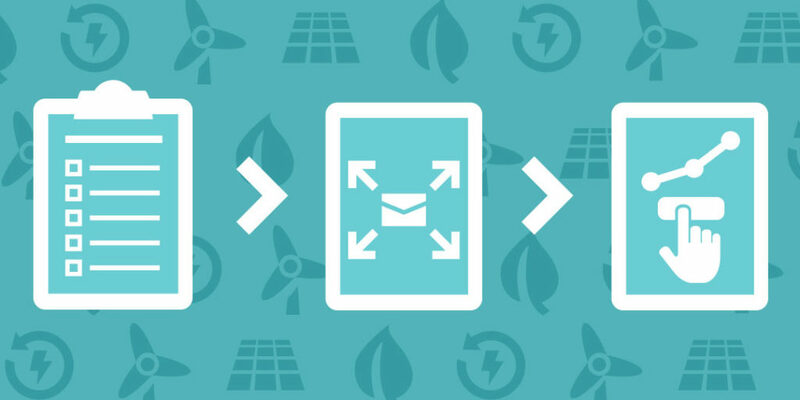 Doing these things will enhance your CleanTech company’s brand name image, click-through rates, and produce new leads to drive sales! Let's talk about your click-throughs.